Do you still do web design? Custom website development is the foundation which EQ was built upon. Our technology was created specifically for the horse industry and we have a 15 year track record of helping hundreds of businesses grow and succeed in their horse sales, breeding programs, equine products and services. 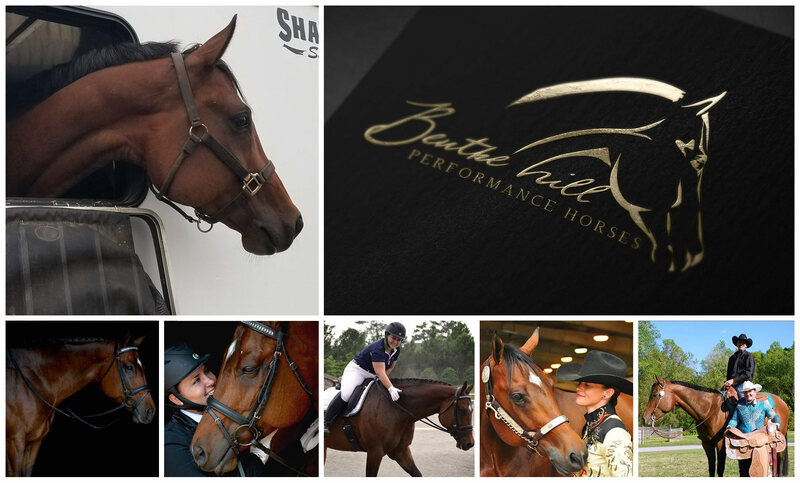 Due to the high demand of our logos, we continue to offer custom equine websites, but only on a very limited basis. If you are interested in an EQ website, please feel free to contact us anytime and if we don’t have the availability to take on your project, we have amazing resources that we trust and we’re always happy to help point you in the right direction. To view a few of our favorite projects throughout the years, please click here for a list of links. How much are your logos? We love working with small businesses and are always looking for creative ways to keep our logos affordable, while never compromising our quality or the time that goes into creating them. New for 2019, we are offering 0% APR payment plans that start as low as $49/mo. We invite you to click “GET QUOTE” and tell us a little bit about your business and what you have in mind and we will provide you with detailed information on our process, pricing and financing options. Your logo is the face of your business and will stick with you for a lifetime. EQ’s craftsmanship, personalized service and 100% satisfaction guarantee are unparalleled and each logo comes with the peace-of-mind of knowing you hold the full ownership to an entirely original design, which is something that could end up saving you a small fortune in the future. Unfortunately, many of our customers find us after numerous failed attempts at having a logo created. Our process differs greatly from a traditional logo design firm, and so does our guarantee. Every EQ logo is uniquely hand-drawn for each individual. We do not use clipart, stock imagery or logo design software of any kind. An immense amount of thought, care and time go into every logo we create. Therefore, since we don’t have a stockpile of pre-existing art, we do not offer the standard 3-10 designs – “pick one” – type of process, which many times will force you to settle on something you may absolutely hate. We start by creating a single logo and because we are our own worst critics and never show something we aren’t completely happy with first, 9 times out of 10, the first draft is immediately “the one”. We encourage you to take a peek at our Reviews to read the number of people who swore that wouldn’t be possible. Option 2… We can scrap it and start over. If we miss the mark entirely, we will start over and do a brand new concept for you and we will do as many as it takes to make you happy. It doesn’t happen often, but there have been a handful of clients over our 15 years that have required us to do 100+ revisions. We stand behind our work and there is no limit to what we will do for you to ensure your experience with EQ is the complete opposite of what you may have dealt with before coming to us for help. If you have any other questions about our satisfaction guarantee, please don’t hesitate to contact us anytime. Who owns the rights to my logo? A new large animal hospital paid a graphic designer to create a logo for their clinic back in the early 2000’s. Unknowingly to the veterinary clinic, the graphic designer purchased a vector image of a horse and added the clinic’s name to the image. More than a decade later, the now extremely well established and quite large veterinary clinic gets sued for copyright infringement. Not only did they have a major lawsuit to contend with, they also had their logo on every shirt, card, ad, invoice, stationary, label, truck, sign, etc., and found out they had to destroy tens of thousands of dollars worth of branded material. The repercussion from having a logo that wasn’t original was devastating. But the designer purchased the image that was used? First of all, if you were to read the fine print on almost every royalty free stock art website that exists today, you will notice that they all say “this item may not be used as a logo”. Content creators, and even the royalty free sites themselves, often use this as a method to cash in and it happens all of the time. Secondly, the graphic designer isn’t advertising your business or selling merchandise with your logo on it… you are. And you are the one who is left wide open, not the designer. It amazes us how many designers are completely unaware of the potential liability they are subjecting their clients to. They are not doing this to deceive their clients; more often than not, they genuinely just don’t know. Regardless of whether or not you choose EQ to design your logo, please be absolutely certain that your designer is creating something original. Saving a few hundred dollars by running a design contest or hiring a firm that uses stock art could end up costing a fortune in the long run and we hope sharing our clients’ story with you helps prevent that from happening. If you have any other questions about the ownership of your logo, please don’t hesitate to contact us anytime. What types of files will I get with my logo? We provide everything you need for putting your logo on virtually anything you can imagine and a detailed email that describes what each of your 6 file types (.ai, .eps, .pdf, .psd, .png and .jpg) are used for so you can always be sure to send the right files to the right product manufacturers. Your most important files are your .ai and .eps files. Once you approve your draft, we send your logo off to be ‘vectored’. This process takes your logo from being an image and turns it into a mathematic equation. This means your logo can now be sized down to fit on something tiny like a business card, or made into something the size of a large billboard without ever looking fuzzy or loosing it’s crisp, clean lines. A couple EQ logos are on semi-trailers and we even have one that is soon to be covering an entire airplane! No matter how big you make it, your logo will always look perfect. We don’t understand why logo companies typically hold your layered files hostage, but in our opinion… you own your logo and there is no reason you can’t own all of the pieces we used to make it! We include our ‘master’ .psd file with every individual line separated, which allows you to make changes to it in the future should you ever desire to do so. This works incredibly well with certain logos, because depending on its orientation, you may choose to move things around to make it look its best for a particular purpose. For example, if we created your logo that fits perfectly into your Facebook profile image and on the pocket of a polo shirt and down the road you sponsor a horse show and need to have an arena banner made, you will have everything your sign maker needs to put the font next to the art and make it horizontal instead of square. Sometimes you may want to use just the horse’s head on a baseball cap, or just the font by itself on stationary, but in any case, we give you everything so you will always have limitless flexibility. In addition to your vector and layered files, we also provide your standard .jpg and .png files. The .png is on a transparent background and is perfect for using to watermark images or any other application where you are wanting the background to show through. The .jpg file is a simple image of the logo and is great for websites and print. If you have any other questions about file types, please don’t hesitate to contact us anytime. Can you digitize my logo for embroidery? We are absolutely neurotic when it comes to good embroidery and it all boils down to how the files are ‘digitized’, (the process of telling the embroidery machines where and how to place each thread). Embroidery can look beautiful, but if someone does a poor job digitizing, it looks awful. Just like logo design, digitizing is an art form, and after more than a year of hunting, we finally found a fantastic resource that the major companies like Under Armour and Ariat, use for digitizing. Their services are a bit pricier than your local embroidery shop, but the quality of every item you put your logo on depends on that file alone. Their craftsmanship is far superior to anything we have found and it’s a one-time expense that never has to be redone. We are so obsessive over how our logos look for our clients, that we will oversee the entire digitizing process for you at no additional cost to ensure your logo looks its very best in every application. If you have further questions about digitizing for embroidery, please don’t hesitate to contact us anytime. Can you use my own horse for my logo? If you have any other questions about using your horse as the inspiration for your logo, please don’t hesitate to contact us anytime. I have no idea what I want? That’s great news! The overwhelming majority of logos you see in our portfolio were created for people just like you who had absolutely no idea what they wanted! These are often times our favorite projects to work on because the “sky is the limit” when it comes to creativity. We always love getting to know our clients, but this becomes especially important when you don’t know what you want. We prefer to start the design process with a phone call where we will brainstorm with you and ask a ton of questions about your business, your horses, your audience and the motivation behind why you do what you do. Generally within about 30 minutes of talking to you, we have a very strong intuition about the best direction to start sketching. Oddly enough, we never know what a logo is going to look like until the moment it’s done. We are insanely picky and often times 20-30 sketches will hit the trash for every one logo we produce. But when that one sketch ‘feels’ right… most of the time, it is. And remember, if we don’t nail it on the first shot, we will redo it for you as many times as it takes to make sure you love everything about your logo. Please don’t hesitate to contact us anytime to set up a brainstorming session. Can you make my logo gold or silver? Many of our clients love the look of our logo mockups and want cards that look just like them. This is achieved during the printing process and we provide you with the black on white files the printers request for foiling. The sheen and texture are beautiful because the printer is using “real foil”. If we were to make your logo gold or silver digitally, it will not have the same quality as a real foil, real metallic embroidery thread, real gold flake paint on a farm sign, etc. We can provide a digital gold/silver file for Facebook, websites, etc., but we always recommend going with a high-quality printer that offers real foil whenever possible for your printed materials. If you have any other questions about the the foil process, please don’t hesitate to contact us anytime. Can you recommend a printer? Yes! Thank you for asking, we always cringe when someone mentions Staples or Vista Print! One of our favorite printers for economical foil business cards is PrimoPrint – their quality and prices are exceptional. If money is no object, check out our absolute favorite printer – Jukebox Print and make sure to look at their “Inspiration” gallery. The sky is the limit and Jukebox’s quality is unparalleled, but they are very, very pricey. Lastly, if you are wanting a foil look, but want something different than traditional foil colors, check out Print Peppermint. They offer “cold foil” which gives a foil look without any limitations of color. Note: We are in no way affiliated with these printers and we receive no monetary compensation from any of them. We share them here because these are our top picks out of dozens that we’ve had experience with. If you have any other questions about printers, please don’t hesitate to contact us anytime.